The best Salmon, Halibut, Rockfish, Crab, and more! Salmon, Halibut, Rockfish, and more! The best fishing charter that Ketchikan, Alaska has to offer. Our Ketchikan fishing charter is located in the ideal area to catch plenty of Alaska Salmon and Alaska Halibut. The Bites On! 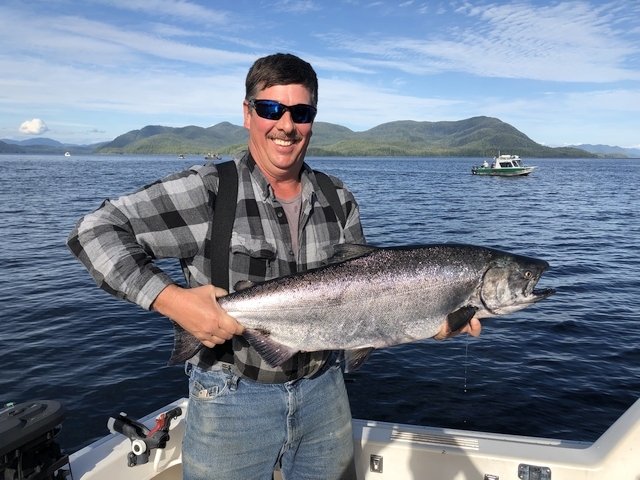 Charters offers an amazing Ketchikan Fishing Trip for anglers that are looking to try their hand at World Class Salmon Fishing and Halibut Fishing. Please take a few moments to look around our website and you'll find we offer many fishing charters to help you plan the perfect Ketchikan Fishing Vacation. The Bites On! 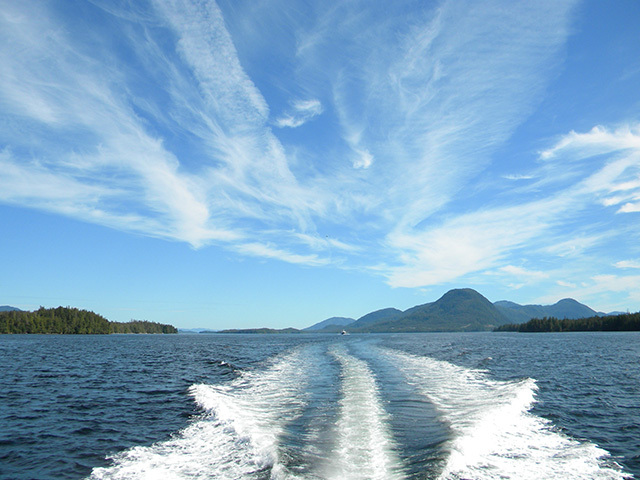 Charters is the premiere charter fishing business in Ketchikan, Alaska. We have extensive knowledge and experience when it comes to catching fish and customer satisfaction. 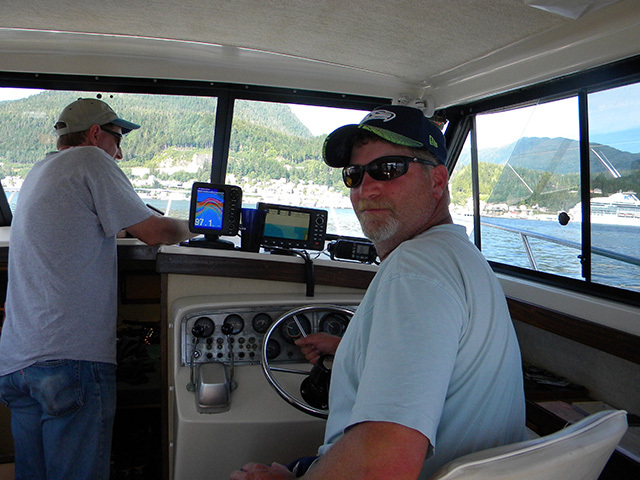 Captain Clay Slanaker has 30 years of local Ketchikan charter fishing experience and knows how to find and catch fish. Ketchikan is known as the Salmon fishing Capitol of the World. 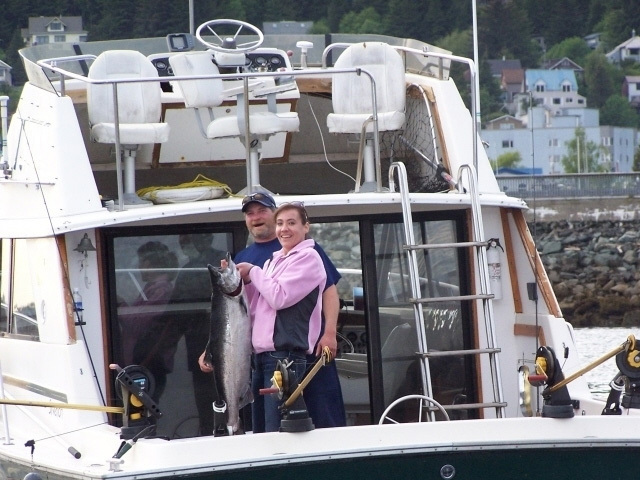 We have Ketchikan fishing trips for expert anglers and beginners and we welcome families with children. the KILLIN' TIME Jim and Captain S. Welcome Aboard! Fishing Ketchikan Book Now! 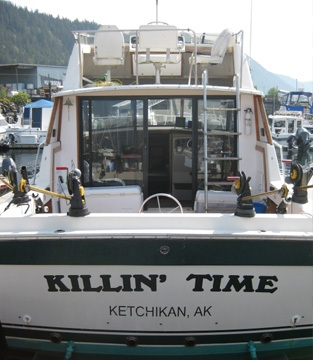 You’ll be Alaska charter fishing from a spacious 31 foot Silverton boat named Killin' Time. My Ketchikan Fishing boat is outfitted with twin Chevy 350 engines. She can comfortably accommodate a group of 4 to 6 people with plenty of seating inside the cabin as well as additional seating space above the cabin to enjoy a full 360 view of the beautiful surroundings Ketchikan, Alaska has to offer. The Killin’ Time has a fully enclosed heated cabin with clean restroom facilities, and a large open fishing deck. The charter fishing boat is equipped with state of the art electronics including GPS, fish finders, depth sounders, VHF radios, CB radios, cell phones, and the best fishing gear.